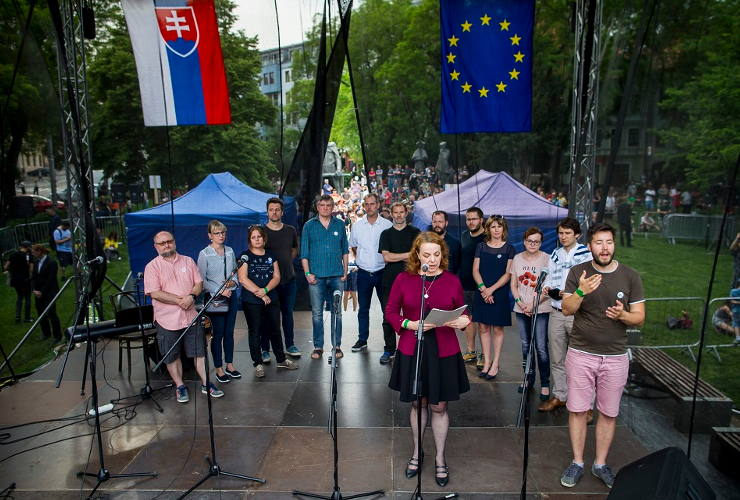 IPI Vice Chair Beata Balogová (centre) speaks at a protest against the murder of investigative journalist Ján Kuciak in 2018. The International Press Institute (IPI), the global network of editors, media executives and leading journalists for press freedom, today condemned yesterday’s abusive verbal tirade launched by former Slovak Prime Minister Robert Fico against IPI Vice Chair Beata Balogová. At a press conference yesterday, Fico lashed out at Balogová, editor-in-chief of the influential Slovak daily SME, accusing her of intentionally “defaming the state” in a recent critical interview with the Austrian daily Kurier. Fico presented quotes from the interview out of context to amplify his lengthy attack on Balogová, whom he threatened with civil and criminal legal retaliation. In particularly incendiary remarks, Fico suggested that Balogová was “closer” to the murder of Slovak investigative journalist Ján Kuciak than he was. Balogová has been a key figure in the campaign for justice following Kuciak’s murder last year, which led to Fico’s ouster as prime minister. He remains the head of Slovakia’s ruling Smer party. Fico is known for his anti-press rhetoric, which has included calling journalists “snakes” and “anti-Slovak prostitutes”. But yesterday’s attack was remarkable for its viciousness and personal nature. The former prime minister declared that he was “at war” with the media and vowed that Smer would press ahead with restrictive changes to the country’s press code as punishment for Balogová and the country’s critical media. “You are a huge threat to the democratic development of this country”, Fico said of the press. IPI Executive Board Chair Markus Spillmann condemned Fico’s remarks. IPI Deputy Director Scott Griffen echoed Spillmann’s remarks. Fico’s remarks came just days after the first round of Slovakia’s presidential election, won surprisingly by liberal lawyer Zuzana Čaputová, who now faces a Smer-backed candidate in the March 30 runoff. 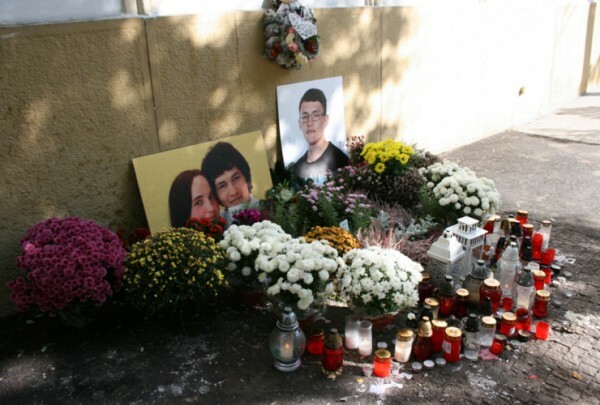 They also came as Slovak investigators continue to make significant headway into the murder of Kuciak and his fianceé, Martina Kušnírová. Prosecutors earlier this month filed murder charges against the suspected mastermind, controversial businessman Marián Kočner, after months of pressure from Slovak journalists, civil society and international organizations including IPI. Recently, Balogova has called attention to an effort by two Smer MPs to introduce a “right of reply” for politicians. IPI has said the measure would give officials a convenient tool to retaliate against unwanted press coverage. The Office of the Representative on Freedom of the Media of the Organization for Security and Co-operation in Europe (OSCE) has also urged Slovakia not to proceed with the changes.